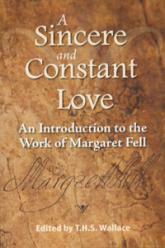 Margaret Fell was one of the early converts of George Fox--a woman who more clearly understood Fox's dynamic experience and understanding of the original Christian gospel than anyone else. It was Margaret who quickly turned her estate into a key communication and support node for the growing Quaker movement. It was she who fostered a Quaker community on her estate at Swarthmore Hall. And it was she who, twenty years after her convincement and fifteen after her widowhood, became Fox's helpmate in marriage and co-partner in ministry. To dismiss her would be to dismiss one of the key female founders of early Quakerism.